I also received an in-game notification that my version was out of date. 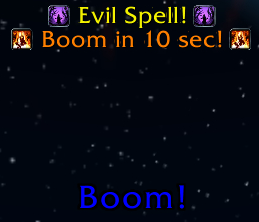 I use WoWI Minion to keep my addons updated. Thanks for all the great work on DBM. I will never forget. I will never regret. I will live my life. I want to disable all bars, "Small and Long" together, I remember doing this in the past, but I forgot how, I remember clicking one button and it's done, but now I can't for the life of me find this button, haha. Some might think it's weird that I want to disable all bars, but actually I just want to use this addon for VEM, no bars needed for me, Thanks. Mini Map Icon is now locked to the edge of the Mini-Map instead of free Floating. Could you change it back to Free Floating, I don't have any available "real estate" on the edge of my mini-map. 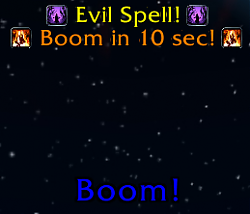 There is no viable way to report bugs for this addon. Registration on the official site is disabled and on curse you get redirected to a Discord channel. It's kinda hard to report bugs when the average user doesn't know where to go. Even the regular Bug reporting tool here on WOWInterface is disabled for DBM. Last edited by Xruptor : 08-03-18 at 06:41 AM. it still does after they've played once (or if you change setting to ALWAYs block you are free to as well). It just won't skip them in scenarios anymore. that was actually a bug that got fixed. is there a reason y dbm doesn't skip cinematics anymore? 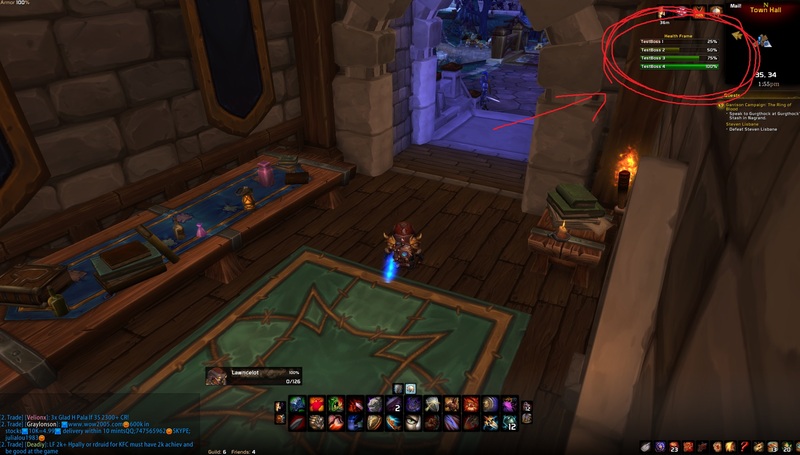 Is there a way to designate all DBM Chat alerts to go to a certain Chat window/tab? They currently all default to the main window and it would be nice to have them all in their own confined tab. I don't want to stop the alerts, just move them to another pane. Where are the alert sounds (not voices) as I'd like to use a couple for combat alert? Only Raid Bosses or Dungeons as well? I am leveling via dungeons, would this mod help there or is there another mod that does cover them. Or are dungeons considered so easy, mods like this are unnecessary? How can I hear countdown voice above 5? Hi I wanted to know if there is a way I can hear the countdown from 10 instead of 5. And Also if it's possible to hear it after 1 so when it goes to 0 it can say something like attack or whatever. whats with the constant and daily update with this addon. everyday for the last month an update is up, get tedious i must say. Hi there. I am having a problem with the Boss Health frame. In that I can't seem to move it. I can change the size of the bars, and the growth up and down options and thats all. I tried to move it with "Moveanything" but I can't seem to find it. So... is there any Dev activity at all in this thread? Is there another place I can look? Hi I am not a dev but i think I can help you with your problem. Have you tried right clicking the boss health frame and unlocking it? Sorry if this does not help you. Try shift dragging from the title of that window.